Former President Coolidge presiding over a meeting of the American Antiquarian Society. Photo credit: American Antiquarian Society. Until I had seen all that I could see! A life-long reader, Calvin Coolidge inherited most of his 4,000-volume library from the generosity of friends and fans. He enjoyed literature and remained well-read in history, biography and policy throughout his public life. He translated Dante’s Italian as a young man and returned to its passages in later life, the Divine Comedy the inspiration for John Milton’s later epic. Both he and Mrs. Coolidge related very well to the fantastical journey down the rabbit hole Alice took to Wonderland, sympathizing with her in their own remarkable six years in the White House. But, there remained on his bedside table a few key volumes, the Bible, a collection of the speeches of Professor Garman and a small, twin-set edition of Milton’s Paradise Lost and Paradise Regained. Small enough to easily fit within his pocket, Coolidge took these two volumes with him when he traveled as a former President, usually on his train rides between New York and Northampton. Milton’s correlation between obedience and liberty find expression many times in Coolidge’s thought. After all, before exaltation came the Cross. Without obedience and self-restraint first, the demand for rights and privileges loses all force and meaning. He in whose hand all times and seasons roll. Solicitous, what moves thy inquisition? And my promotion will be thy destruction? Born in Cincinnati, Joseph Rodefer DeCamp clearly benefited from the influence of the Kentucky-born son of German immigrants Frank Duveneck. Duveneck, an acclaimed artist drawing students from across the country to him at Cincinnati, not only taught young DeCamp but introduced him to higher technical training at Munich connecting him also with the genius of the old masters during excursions through Florence and Venice. DeCamp would return briefly with this preparation in new and old to Cincinnati before embarking on his life’s work centered in Boston. Like Edmund C. Tarbell, he helped define the Boston School and there turned to teaching the craft and form to others from 1883 onward. Like his contemporaries, Whistler and Remington, he contributed to the experimentation of the Tonalism movement, producing works – especially landscapes – that seemed filtered by a single dominating color as if the viewer, peering into the mist, had a tinted lens through which to view a scene. DeCamp with Tarbell and others would form a collaborative group called Ten American Artists to challenge what they regarded as a domineering hold on art itself by conservatives (represented, as they saw it, in the Society of American Artists, itself a response to the timidity of the National Academy of Design years earlier. The Society, they believed, constrained what kind of works could merit exhibition in galleries across the country. Assembled by Childe Hassam, J. Alden Weir, John H. Twachtman, the ten brought their new techniques and approaches to notoriety in shows all along the Eastern seaboard for the next twenty years. It was in the midst of this quest and his teaching career that DeCamp was sought out to paint Massachusetts Senate President Calvin Coolidge. Coolidge had just risen to the state’s most powerful legislative office to the astonishment of Boston’s elite and would be the quietly dominating force there through the decade not only in the Senate but all the way to the Governorship as wartime conditions descended on the world. No stranger by any means to portraiture, DeCamp’s rendition of Coolidge pushes the mist back behind the man and gives us a stunningly detailed depiction. Senator Coolidge’s red hair has not yet turned sandy and we experience a closeness to the subject few let us see, with all the precision and clarity of a photograph. Regrettably, DeCamp would be gone by early 1923, never seeing his sitter reach the highest Presidency in the country. A number of DeCamp’s landscapes would be lost in a fire in 1904 but we have an incredible body of work that continues to live and breath color, character, interest and personality off the canvas. Lambert DeCamp, 1883. Joseph’s father. The Hammock, 1895. Depicts wife Edith, daughter Sally and son Ted. Portrait of a Young Lady, 1896. Miss Alice Boit, c. 1899. Albert Hayden Chatfield, 1905. The president of Chatfield Paper Company. The Kreutzer Sonata, c. 1912-1914. Calvin Coolidge by Joseph DeCamp, 1914. Photo credit: Harry Ransom Center, Austin, Texas. The Blue Mandarin Coat, 1922. Paxton’s ornate pieces convey the beautiful, if fragile, world that even when conceded that it was artificially constructed and ostentatious, saw value in quality and excellence. It stands in stark contrast to a world that has since seemed to lose an appreciation for that beauty and expectation of excellence, adopting instead a cynical, shoddy, even closed mind to what Paxton accomplished on canvas after canvas. Paxton would go on to earn the sobriquet “court painter of Philadelphia.” Through his wide friendships in that city he would be approached by members of the Union League for a portrait of one of its popular and much missed members, former President Calvin Coolidge. 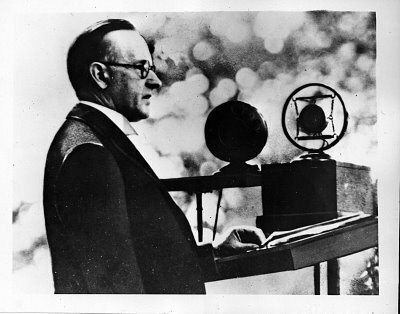 Coolidge, while still in the White House, had been inducted and honored by the League back in 1927 with great acclaim. However, he had died in 1933 and the year was now 1938. How would Paxton fulfill such a commission when the subject could no longer be present? The artist pored over the voluminous body of photographs (Coolidge being perhaps the most photographed public person in the country in the 1920s) all at easy access, to study both the spirit and substance of his subject. Examining countless angles, expressions and postures, he finally found Cal and so portrays him in the finished portrait. Paxton gives us his estimate of the man most noticeably through the eyes, catching a fire and spirit within them that the otherwise calm demeanor cannot obscure. 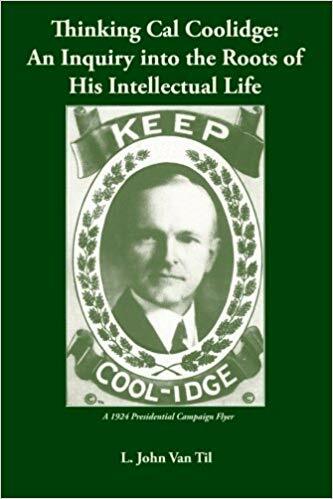 It is an incredible achievement, combining Coolidge’s mixture of intense focus with deliberate restraint, a visual representation of the President’s approach to leadership. It was a style that held course for six long years, holding back the rising pressures to spend when it was wiser to save and to channel effort in powerfully-directed ways when it was far easier to waste on the assumption that abundance would always flow. The portrait is currently on loan by the Union League to the office of the Vice President of the United States, a fitting temporary home for the man who once shared that very role. Here is some of Paxton’s work. Many thanks must go the Union League of Philadelphia and Vice President Pence for their kind assistance in the research of this portrait. My Father [James Paxton], 1890. Portrait of Artist’s Mother [Rose Paxton], 1902. Portrait of the Artist’s Father [James], 1902. Grover Cleveland preliminary etching, 1906. Grover Cleveland etched portrait, 1906. Provincetown Street, The Corner Grocery. Portrait of a Woman in Feathered Hat, 1922. Graphite. Mrs. Charles Frederic Toppan, 1935. Calvin Coolidge, 1938. Photo credit: The Abraham Lincoln Foundation of The Union League of Philadelphia. Born in Washington, D. C., trained at Corcoran School of Art, converted to the Baha’i faith in Paris, and keeping a studio in Greenwich Village, Juliet Thompson was already an artist of national renown by the time the Coolidges came to the White House. In fact, her work as a painter provided for her family after the untimely death of her father. She was an accomplished pastellist and an evangelistic believer in the religious tenets taught by Persian-born Abdu’l-Bahá and Siyyid `Alí Muhammad Shírází (known as “The Gate” or The Báb). A young contemporary of Abdu’l-Bahá, Thompson would even paint a full-length portrait of the man during his visit to the United States in 1912. An avid contributor to various causes in both the art and political worlds, Thompson would be commissioned to paint Grace Coolidge in early 1927, shortly before the President and First Lady vacated the mansion for its third floor expansion. The artist and Mrs. Coolidge had conferred about the project, which was to show the First Lady in formal gown with soft, flowing lines. The portrait was to be painted on the second floor looking down the length of the hallway into some of the family’s living spaces. On the first day for sitting, however, Grace arrived ready in a totally different costume: She would wear an informal red jacket with ivory white blouse. This was not to be a grandiose or pretentious portrait and with her gentle grace, Mrs. Coolidge redirected the entire tone and nature of the work. It would be her favored choice again for Frank Ashford’s informal portrait of her later in the summer in South Dakota. Overcoming her shock at this drastic downgrade and not getting any chance to portray the First Lady in formal attire, the artist proceeded, finally locating, after much painstaking effort, the right shades of chrysanthemum to fit the new palette. In sittings, the artist enjoyed analyzing her subjects always seeking to plumb deeper into the psyche and inner quality of those she painted. It would be no different when it came to Mrs. Coolidge, who soldierly sat for some two weeks at daily sessions that could easily run two or two and a half hours at a time. Left without any interruptions, the work proceeded. The President alone would walk in and converse from time to time and the First Lady spoke freely throughout the sittings. Thompson was struck by the “spiritual beauty” and “flame of life” Mrs. Coolidge exuded during those sessions. The artist saw in the subject a profound vitality and zest, all the joy-filled warmth and disarming kindness that the public loved with still more intensity of self-awareness and strength of mind that fewer knew was there all along. Her dark, deep-set eyes were Mrs. Coolidge’s most dominant feature, as the artist would observe in an interview shortly thereafter, and the abundant lengths of raven-black hair, kept long but coiffed not bobbed (as bobbed cuts were becoming the decade’s fashion), encircled a truly rare beauty. The work on the subject completed, the 30 by 38 canvas was crated and shipped to Juliet Thompson’s studio in New York, to receive its finishing touches there. It would join the portraits done for Countess Speransky (the famous daughter of President Grant who became a Russian princess), Bahíyyih Khánum (daughter of Baha’i’s founder, Bahá’u’lláh), Alice Pike Barney (fellow DC artist and almost-wife of explorer Henry M. Stanley, who just after their engagement left for Africa, naming the boat in which he explored Lake Victoria The Lady Alice in her honor), and Rose Standish Nichols (Boston artist, author, gardener and namesake of the art Museum) among others. Partial tint of Miss Thompson’s portrait of Grace Coolidge. Tinting work done by roused @ steemit.com. Miss Thompson finishing a portrait. Woman in White, another tribute to “Lady Alice” Barney. Pastel. Photo credit: Smithsonian. Polish by birth, Seymour Millais Stone was five years younger than President Coolidge. Trained at the Royal Academy in Munich, the Academie Julian in Paris and under John Singer Sargent in London, he came to the United States, basing first in New York and then Chicago, leaving a strong presence as a portrait painter everywhere he turned. He was both a painter and an illustrator, whose works would not only be displayed in prestigious galleries but also popular magazines. He would depict sweeping scenes of mythic glory and cleanly majestic portraits of soldiers and business men, Vice Presidents and refined ladies. He would paint Presidents and First Ladies but that would not include either Calvin or Grace Coolidge. Instead, we find the great master turns his talents to their quiet and modest firstborn son, John. Returning gladly to some semblance of private life after 1929, John pursued a career in the railroads and with Florence, his wife, was indispensable in the preservation of his family’s great legacy living on in the land, still seen in the Homestead, Store, Meeting House, and surrounding hills of Plymouth Notch as they were when his father and grandfather lived there. It is a deeply affecting testament to a great legacy by an equally great and exemplary gentleman. In Stone’s portrait, completed in 1931, John is still in his youth, standing tall looking back at us with only the faintest effort to restrain a smile. At 25, sharply dressed as usual, it is all too much for the young man to be solemn and stolid on the outside when he had every reason to find humor in the occasion, the journey that had brought him there to that moment, and at life itself. He was everything a good son and faithful man should be and his portrait is one of our all-time favorites here. Portrait of Theodore Roosevelt, completed posthumously, 1921. Mrs. Edith Wilson, wife of President Wilson, 1920. Artist beside his work, Mrs. Edith Wilson. Philosophy Four by Stone. One of his many popular illustrations. Parsifal and the Holy Grail. Seymour Stone in brief, confident repose. John Coolidge, 1931. On display at the Calvin Coolidge State Historic Site, Plymouth Notch, Vermont. Lt. General Robert Lee Bullard, 1931. Major General Henry Tureman Allen, 1931. The artist later in life displaying his portraits of Vice President and Mrs. Garner. Like DeCamp, Bartlett was also from Ohio and quickly gravitated to Cincinnati, helping to establish in 1890 one of the longest continuously active organizations for artists, the Cincinnati Art Club. Bartlett would establish an aptitude for professional reproductions, most notably the iconic painting of Benjamin Franklin originally done by Joseph-Siffred Duplessis in 1785, the image that now appears on the one hundred dollar bill. He would open a studio first in Cincinnati and then begin a full course of preparation across Europe, starting at Paris under Gerome, learning also from the Dutch and British masters over the next twenty years. He would return to the United States with an extensive portfolio in a range of mediums, including pastels, Tonal landscapes, and portraiture, which included royalty (a granddaughter of Queen Victoria, Princess Eugenie, whom Laszlo would also later paint), Still Lifes in the Dutch tradition, and remarkable faces of both the great and the humble. Whether to honor living personages in paint or simply to cherish an individual already gone but held in quiet memory by their families, Bartlett was the artist up to the task. It was for that latter occasion, following the grief of Calvin Jr.’s passing the previous year, that Bartlett was commissioned to paint the Coolidge’s younger son. A distinguished photograph of the young man was the basis of Bartlett’s work, a pose of Calvin seated in profile with arms folded over his lap as he looks not ahead toward the camera but away to the side. He chooses not to display his fun-loving nature or nimble sense of humor but only his earnest sense of purpose and seriousness of mind. He studies a view we are not able to share, perhaps a symbol of a boy who entered eternity in advance of the rest of us and so fittingly gazes upon what we cannot yet fully see ourselves. Here, as we close this second part on The Painters, is a selection of Bartlett’s work. Stay tuned for the next installment. Benjamin Franklin, after the 1785 original done by Duplessis. Calvin Coolidge Jr., 1925. The portrait now hangs at the Welcome Center of the Calvin Coolidge State Historic Site. It is well worth setting aside a couple days to walk the grounds, view the excellent displays, tour the buildings, and pause at the cemetery across the road.